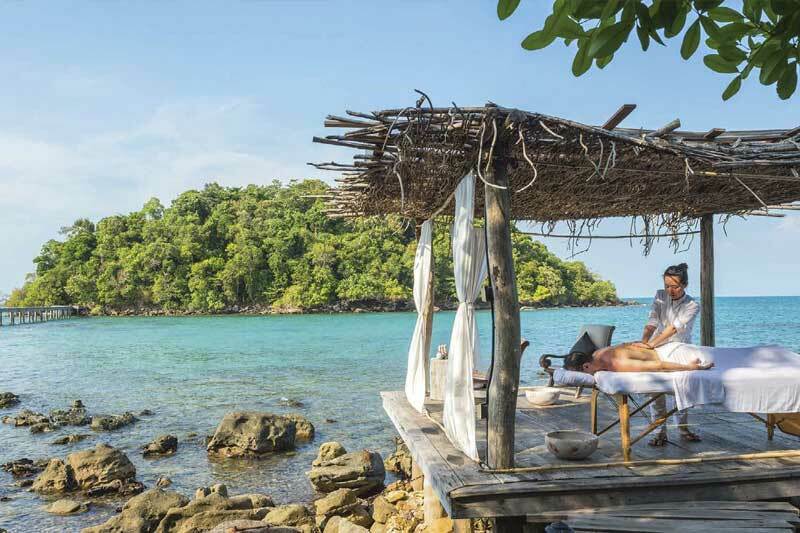 If you’re searching for a truly private and luxurious escape, then Song Saa Island may well deliver the dream vacation you so desperately crave. Located in Cambodia’s southwest Koh Rong archipelago, the two islands that make up Song Saa– Koh Ouen and Koh Bong offer 24 luxurious, environmentally friendly villas. A short flight away from Siem Reap and Phnom Penh, Song Saa is considered one of Cambodia’s most exclusive island getaways and hidden secrets. The resort is inspired by Cambodian fishing villages, each of which come with sunset views and their own private pool. Guests can engage in a wide variety of marine-based activities or even conservation and community initiatives during their break. Song Saa is accessible via a 30-minute speed boat transfer from Sihanoukville port.